We want to build on the loyal relationship FL Price has with its visitors and customers. Our commitment to you begins with respecting your privacy. As you choose to share your interests and preferences with us, we will be able to make your online experience with us more enjoyable and rewarding. • If you choose to provide us with personal information, we will be better able to reciprocate by providing you a more personalized experience over time. But it's your choice. We will protect your privacy as explained in this policy. • If you choose, we will contact you regularly by e-mail. You'll be able to use your "My Account" page to make decisions about the goods and services you tell us are of interest to you. • We will ask you to tell us what you like and what we should add or change. If you don't want to participate, just tell us. • If you request that we not contact you for marketing purposes, we will not. However, if you are interested, we may keep you informed of special offers on products and services, and we will regularly offer specials only available through the email newsletter. Children under 13 should not access any interactive portion of this website without first obtaining parental permission. If a child under 13 years of age wants to participate on our website, we encourage the child's parents to participate in his/her experience on our site. We welcome family participation. FL Price collects a variety of information in several ways. Personal Information – Generally, you can visit our site without revealing any personal information about yourself. At times, however, we may need information about you. Unless otherwise indicated, the information we request is optional. We will specify which information is mandatory at the appropriate data entry points. If you chose to provide us with personal information that we or the companies doing business with us may need (for example, to process an order or to correspond with you), we will use such information in accordance with this policy. If you ask us to not use this information as a basis for further contact with you, we will respect your request. Our site collects information from our registration form, order form, online survey and other contest or subscription registration forms. At these places, we ask you to give us contact information (such as name, email address, and personal interests). On certain occasions, our website will provide online shopping functionality. While it's necessary to provide your credit card information at the time you make a purchase, we don't store your credit card information on our servers. • We may use contact information to (i) send you information about our company, and promotional material from the businesses doing business with us; (ii) contact you when necessary; (iii) share with other companies who may want to contact you; and/or (iv) send orders to you. As stated below, you may opt-out of being contacted in the future. • We may use unique identifiers to verify your identity, for use in our record system and for marketing purposes. • We may use financial information to check your qualifications and bill you for products ordered and services used. When you transmit credit card information to us, the credit card information is encrypted with SSL (secure socket layer) encryption. • We may use demographic and profile data to tailor your experience at our site. This data allows us to show you content that we think you might be interested in and to display content according to your preferences. Aggregated demographic and profile data may also distributed to the companies doing business with us to provide them with information about our visitors. FL Price reserves the right to contact you regarding account status, changes to the subscriber/visitor agreement, and other matters relevant to the underlying service and/or the information collected. We also reserve the right to use the information that you give us and to disclose it to third parties to provide you with information about products and services. If you do not want to receive correspondence related to FL Price or other promotions or products, please indicate your preference by opting-out as described below. Information From Your Computer – Our site recognizes information about your computer, such as the browser, operating system, IP address, and the home server from which you access the Internet. We keep track of the domains from which people visit our site. Your IP address is used to help identify you and your shopping cart, gather broad demographic data, identify trends and statistics, help diagnose problems with our server, and to administer our website. We may use your IP address information when compiling and reporting aggregate information to companies doing business with us. We normally do not link IP addresses to any personally identifiable information; however, when we feel it is necessary to enforce compliance with our terms of service or to protect our service, site, customers, visitors, or others, we may use IP addresses to identify a visitor. We supplement information received from you with information received from third parties. In addition to the situations described above, we may disclose visitor information in special instances when we have reason to believe disclosing this information is necessary to identify, contact, or bring legal action against someone who may be causing injury to or interfering with FL Price rights or property, other metropolishotel.com visitors, or anyone else. We may disclose visitor information when subpoenaed for government investigations, and when we otherwise believe in good faith that the law requires it. 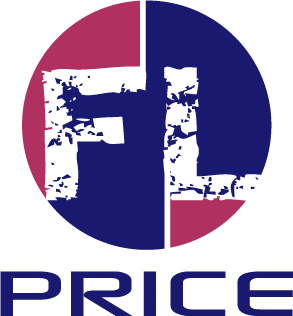 FL Price may, from time to time, share information received from you or your computer with other entities such as advertisers on our web site or companies doing business with FL Price. We reserve the right to distribute your information to third parties at any time, unless you opt-out by asking us to remove your information from our databases and discontinue providing you with information. We reserve the right to sell, rent, lease, or otherwise distribute any information we obtain on or from you to third parties. funadvisors.com contains links to other web sites. We are not responsible for the privacy practices or the content of these other sites. You should check the privacy policies of these other Web sites when providing personally identifiable information. You may, at any time, review, edit, and/or remove any information we have stored on you by contacting funadvisors.com through e-mail at webmaster@funadvisors.com We will promptly comply with any request to review, edit, or remove information. FL Price cannot and does not ensure or warrant the security of any information you transmit to us or from our online products or services. You transmit information to us at your own risk. However, when you transmit credit card information to us, the credit card information is encrypted with SSL (secure socket layer) encryption. Once we receive your transmission, we and our vendors make our best effort to ensure its security on our systems.